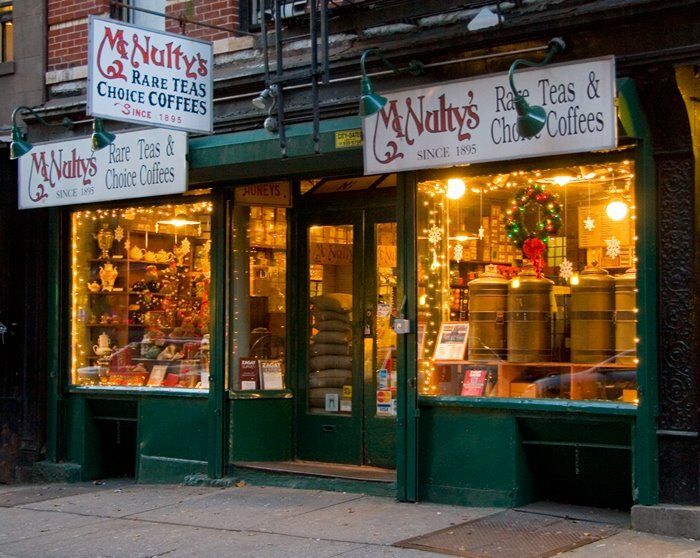 I was not able to locate a description of this tea on McNulty’s website. This black tea is a single estate tea from the Santosa estate in Java (an island in Indonesia). Having tried only a few teas from Indonesia but quite enjoying those that I have tried, I always welcome the opportunity to try more. The flavor of this tea is rich and robust. It definitely has GUSTO to it to get you going! A perfect morning tea, this tea would also make a nice pick-me-up for the afternoon. There is a hint of underlying sweetness to this tea, but mostly what I am getting is a straightforward, STRONG, bright tasting black tea. It has a toothsome quality to it, but not quite as much as a stout Assam. A bit of astringency, but no bitterness. A very pleasant black tea that would make an excellent alternative to the typical breakfast blend or morning Assam. It takes the addition of milk and honey quite well, although I found it to be rather lovely without addition.